Viewing 1 current event matching “workshop” by Date. Viewing 165 past events matching “workshop” by Date. With the evolution of technology, consumers are better informed and more empowered than ever before. Today's marketers must evolve their strategies to address increasing skepticism. E-Marketing strategies offer an ideal solution for the complexities of today's world: timely, efficient, affordable and highly measurable communications. This workshop outlines the tools and techniques being used today to harness the vast marketing potential of the Internet. Topics include search engine marketing, reputation management, email marketing, social media optimization and online advertising and public relations. Take away useable strategies and tips to integrate online and conventional marketing, measure its success and ultimately convert visitors into customers and evangelists. Anyone who needs to deliver results with their Web site will benefit from this workshop. Join professional photographer Aaron Hockley for a workshop that's all about the awesomeness that is Flickr. Power Flickr is a 2-hour discussion on using Flickr for all sorts of purposes beyond simple image hosting. We'll talk about a wide range of tips and tricks, aimed at both folks wanting to promote their photography as well as those looking to find the best material on Flickr. There will be a focus on Flickr's community features including how to network with other Flickr users with similar interests. I'm also open to exploring Flickr topics suggested by you! Leave a comment here with your question or area of interest and I'll try to address as many as possible during the evening. How much is the workshop fee? That's up to you. No fee will be collected beforehand... attend the workshop and then choose how much to donate afterwards. We'll be able to accept cash payment onsite or you can contribute electronically with a credit card (payment info will be provided at the workshop). Please RSVP <a href="http://upcoming.yahoo.com/event/2718162/">on Upcoming</a> so that we have a general headcount . Bring your laptop (or not). All skill levels are welcome although a basic familiarity with Flickr will be helpful. Any questions? <a href="mailto:[email protected]">Drop Aaron an email</a>. Please <a href="http://upcoming.yahoo.com/event/2718162/">RSVP at Upcoming</a> so that we have a general headcount. This was originally scheduled for CubeSpace and is now being held at souk , an excellent workspace in NW Portland. Bring your laptop (or not). All skill levels are welcome although a basic familiarity with Flickr will be helpful. Any questions? <a href="http://www.hockleyphoto.com/contact/">Drop Aaron an email</a>. 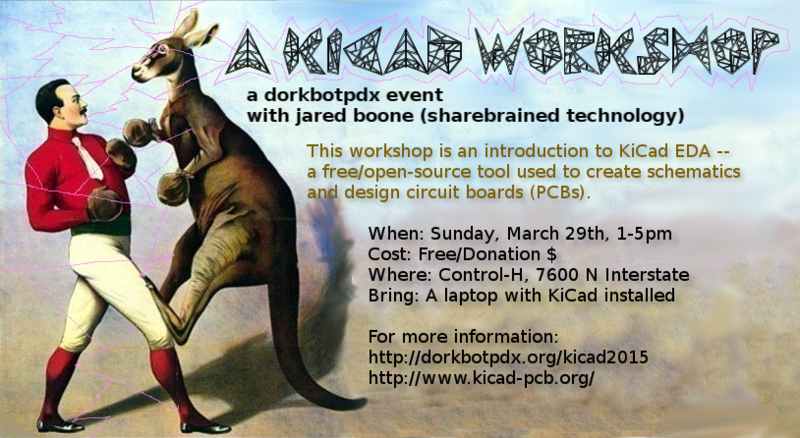 This workshop is the first in a series of workshops on how to use microcontrollers to, well, control things. You’ve purchased an Arudino-compatible board or completed the Audino Cult Induction, so now it’s time to make your board actually do something. This monthly workshop covers simple but useful circuits to connect to the pins and how to control those circuits using the Arduino language. The first workshop is on October 5 from 7 to 9pm at TechShop in Beaverton. The class will be held in the upstairs classroom (the “Hack Hut“). an Arduino-compatible microcontroller board, such as the Dorkboard from the Arduino Cult Induction (with the pins installed so you can use it in a solderless breadboard), a Teensy, etc. You can purchase a complete kit that includes all these (Teensy, breadboard, USB cable, plus the first workshop), for $40 from the same site. What a deal! You should also bring a notebook computer with the Arduino software installed, or come a half-hour early and we will help you install the software on your computer. Finally, bring wire strippers/cutters and some wire. We will have some multimeters, but feel free to bring your own. Local Agenda is a program designed for people who are seriously interested launching a new career in improving the world, locally or globally, and are ready to take the needed time to develop a sustainable idea and plan ready for launch. Outcomes may take the form of a program, a project, an international initiative, a social business – or some combination of all of the above. Often called social entrepreneurship, it can be a career change, a life change, and even, a world change. The program includes 12 weeks of workshops, three hours each, each Tuesday evening. It also includes extensive consulting on business development, strategy, budgeting, and launch. SAVE A SEAT BY CALLING 503-452-6898 OR EMAIL US at [email protected] with your confirmation. COST: $450 for the entire program, 16 weeks of workshops and consulting. We offer a sliding scale and scholarships for those who qualify. We will accept payment in installments. We want no barriers to leadership! Please call us for more information—soon! Join Ron Sherman, Senior Relationship Manager with Silicon Valley Bank. His workshop will help you gain a better understanding of the current funding environment, and in particular, debt financing for your business. Workshops will be held at the Willamette University Portland Center (1120 NW Couch, suite 450) every Tuesday from 3-5pm and every Friday from 4-6pm until Friday, August 27. Passes for the workshops can be purchased at the door before each workshop. A pass for any single workshop can be purchased for $20, a pass for a series of three workshops can be purchased for $50, and a pass to attend the complete summer series of workshops can be purchased for $200. Do you know how the decisions you make with your business today can affect your tax situation in the future? David Uslan of Perkins and Company will provide an invaluable overview of how your start up can effectively manage taxes for long-term success! Passes for the workshops go on sale today and can be purchased at the door before each workshop. A pass for any single workshop can be purchased for $20, a pass for a series of three workshops can be purchased for $50, and a pass to attend the complete summer series of workshops can be purchased for $200. Need a better grasp on the art and science of sales to boost your business and increase revenue? Al Nodarse of Olsen Group, Response Capture, Inc. will share his expertise on how to increase your sales with various techniques from articulating your value proposition, cold calling, to populating data bases. In this workshop, we’ll apply strengths to what’s important to you at work or in life. We will walk through exercises, practice asking the questions and grow the way we think. Join us on Thursday to explore your exciting strengths and take home a new approach to dealing with challenges and situations that cause anxiety. Revenue and profits are, of course, the lifeblood of any business. One of the primary goals for entrepreneurs when they start a company is to get to a sustainable level of revenues and to get to profitability. Once those goals are reached, however, revenue growth becomes a prime imperative for most entrepreneurs, especially those hoping to raise capital or sell their company some day. How fast you can grow your revenues is a function of your industry, your products, and your resources but it may be possible for you to create a sales culture in which you can try and double your sales each year independent of those external factors. In this OEN workshop, led by MergerTech CEO, Nitin Khanna, you’ll learn why exponential growth can be very good for your company and 10 tips on how to double your revenue every year. Speaker: Nitin Khanna Nitin Khanna is the CEO of MergerTech Advisors, a boutique investment bank that facilitates mergers and acquisitions for technology companies with less than $100MM in revenue. Prior to MergerTech, Mr. Khanna was the founder, Chairman and CEO of Saber Corp. a Portland based national firm focused on providing technology solutions to government clients. Mr. Khanna started Saber in July 1998 and helped grow it a minimum of 50% each year. Some of the highlights of Saber’s growth included the Inc. 500 award in both 2006 and 2007, the Deloitte Fast 500 award, and being #1 on Oregon’s Fastest Growing Companies list in 2007. Mr. Khanna currently serves on the board of directors of a diverse range of non-profit, startup, and public companies in both the US and Europe, including Saber Swiss Holdings AG, NAVTEQ Advisory Board, Freewire Broadband, eROI, and ResponderLife. He is also active with MercyCorps and is a mentor to several entrepreneurs in the Portland area. Mr. Khanna has a Master’s and Bachelor's of Engineering from Purdue University. He resides in Portland and with his children Natasha and Madox. Join us in Portland, OR, on June 14, 2011, for the 3rd Workshop on I/O Virtualization. Virtualization technology has grown beyond server systems to include desktops, notebooks, and even mobile devices. The rich settings in which virtualized systems are used range from cloud computing infrastructures requiring access to high-end I/O devices like GPUs and networks to the many devices present in embedded and mobile systems. While I/O systems have a long history of using abstraction to shield applications from the intricacies of devices and storage systems, the WIOV '11 workshop's focus is on the interplay of I/O with virtualization and cloud technologies. Our goal is to provide a forum to discuss the impact and challenges of I/O virtualization along multiple dimensions. Join us in Portland, OR, June 14–15, 2011, for the 3rd USENIX Workshop on Hot Topics in Cloud Computing. HotCloud brings together researchers and practitioners from academia and industry working on cloud computing technologies. Cloud computing has evolved over the years from a basic IT infrastructure (data centers) to platform as a service (PaaS), and it includes both software as a service (SaaS) and enabling services to be deployed on a hosted infrastructure (IaaS). We believe that cloud computing will benefit from close interaction between researchers and industry practitioners, so that the research can inform current deployments and deployment challenges can inform new research. In support of this, HotCloud will provide a forum for both academics and practitioners to share their experience, leverage each other's perspectives, and identify new/emerging "hot" trends in this important area. "To call Your Business Brickyard a 'bible' would not be an exaggeration. Doesn't belong on your Kindle or bookshelf - belongs in your pocket for permanent and immediate reference." You not only get to meet the author of this book, but attend his workshop, learn about his ideas first-hand and get a free pdf version of the book. Howard Mann, author of "Your Business Brickyard" has collected twelve essentials to any business foundation based on his experiences as an entrepreneur. Mann shows you how to get back to basics, reconnect with your purpose, and grow your business, instead of getting stuck following the latest trend or "Me too" fad. You will learn how to unlock your company's true potential instead of playing catch-up with your competitors. When you're at an entrepreneurial roadblock, this is the book you need to reboot your thinking and get you back on the right road," says Andy Sernovitz, Author, Word of Mouth Marketing: How Smart Companies Get People Talking. You've got a great product but how do you sell it? This workshop will show you the foundations that you need to know, to move your product or service. •How to create and exchange value through building and fostering relationships. •Why and how customers choose to buy. •How to plan, prepare, and jump start an effective sales strategy. •How to successfully start and manage your own sales, even if you've never done it before. The first steps towards building a sales team and/or 3rd party sales networks. •Entrepreneurs who are new to sales or are seeking to raise capital (there are some very similar principles that apply) •Business owners and leaders who may not be familiar with sales and want to improve their existing sales efforts. •Individuals that want to become more involved in their company's sales activities •Individuals wishing to start a career in sales or development. What is a QR code and how can you take advantage of this new marketing tool? In this four hour class, QR Code expert Daryl Welch will answer your questions and give you hands-on training. Starting with a very brief background in the history of QR Codes, you will get right into the thick of everyday uses for QR Codes and how you can integrate QR codes into your marketing strategy today. Bring your laptop and your smartphone and learn how to set up and implement QR Codes for your business in four short hours. Jun 27, 2012 OEN Workshop: What you need to know about Sell-side Mergers and Acquisitions. Learn the: Who, What, When, Why, Where, & How of Sell-side Mergers and Acquisitions! Come ask your questions directly to an active dealmaker. Learn from an insider/expert how to sell your company for THE MAXIMUM PRICE. All business owners eventually exit their business, but most do not know the mechanics to achieve the full value for their firm. Topics will include: Am I ready? What is accomplished with a valuation? What advisors will be required and why, and what you should expect from them? How to plan for the unforeseen. When and what should be disclosed? How not to say too much. How to do due diligence on the buyers. Michael S. Crawford, Sr. Partner & Managing Principal, at The Merger Expert, Inc who is a sell-side M&A firm exclusively. Michael began his M&A career in 1983 and has 41,000 hours of M&A experience. For the first 12 years he was on the buying side of transactions for large private, and latter, publicly-traded, companies. In 1995, he founded a full-time, sell-side exclusively, M&A firm specializing in companies with $3-40 million in revenue. Bruce Slater, Partner, The Merger Expert, INC. has over 69,000 hours experience within the consumer products manufacturing industry for three FORTUNE 500 Global companies. Bruce's M&A experience includes actively participating on the successful acquisition team at BLOUNT International for 14 years. How do I estimate a premoney value for my company if we don’t yet have revenues? Naomi Derner, CFA is the founder and managing director of Derner Valuation Consulting, where she performs valuations of businesses, securities and intangible assets, primarily for tax and fair value reporting compliance in connection with merger and acquisition transactions and stock option issuance. Ms. Derner has valuation experience across a wide variety of industries, and possesses specific expertise in technology and life sciences companies at all stages of development. Prior to 2008, she was a Vice President in the San Francisco office of Houlihan Lokey Howard and Zukin. Prior to joining Houlihan Lokey, Ms. Derner held positions in the financial valuation services group at Arthur Andersen LLP, the financial institutions equity research group at NationsBanc Montgomery Securities, and the financial analysis unit at the Federal Reserve Bank of San Francisco. Ms. Derner holds the designation of Chartered Financial Analyst and is a candidate member of the American Society of Appraisers. She holds a bachelor’s degree in managerial economics from Carnegie Mellon University and a master’s degree in economics from the University of California Santa Barbara. Besides employee payroll, "Office, Industrial, or Retail Space" is usually a company's highest business expense. Yet many entrepreneurs put this on the back burner and deal with their space needs at the last minute. This workshop will cover what you need to know when your company is growing and you are ready to take the next step for new space or ready to expand/relocate from your current location. This session will help you plan, as well as begin thinking of future space needs so you do not lose your leverage with landlords or get thrown into a space that will cost you and your investors money that could and should be used towards other business expenses. Josh Schweitz is in the 13th year of his commercial real estate career, and is dedicated to providing the best service and value for his clients. During his career, he won the Commercial Association of Realtors' "Rookie of the Year" award, was listed as one of Oregon Business Magazine's 2003 top ten "Up-and-Coming Brokers," and ranked among Costar's top 20 "Power Brokers." Josh has successfully negotiated over 2.9 million square feet in office/flex transactions worth approximately $245 million in consideration. Josh focuses on high tech, creative, communications, and advertising companies and has been very involved with the Oregon Entrepreneurs Network, serving on their board in 2006. 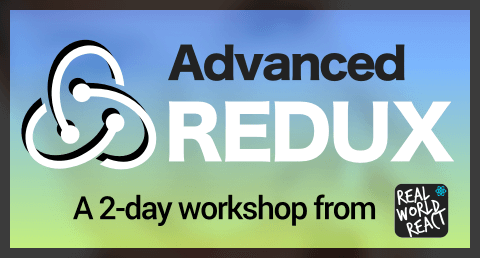 This workshop is a 10 hour movement intensive, presented over two consecutive days. You will learn to use the techniques and insights of theater and dance to discover new ways to find and expand your center. You do not need to be a performer; you only need to be committed to expanding your choice of creative movement through the discovery of your true core. Dates: October 5th & 6th, 2013 Time: 11am- 4pm each day Location: Lightbox Kulturhaus, 2027 NE MLK Blvd, Portland (enter through glass doors, behind Tiny's Coffee) Cost: $111 Spaces are limited so register soon! Instructor: Jacob Mooney This workshop is for actors, dancers, musicians, and anyone who wants to express themselves more fully and freely. We will draw from physical theater, butoh, clown, modern dance, and myth. We will cultivate presence, awareness and potency in both our performances and in our lives. We will inspire ourselves to walk our edges, push our limits, and dive deep within ourselves. Through this work we hope to connect with other creative people who can laugh together, work together, and collaborate on future initiatives based upon the foundation we build in these sessions. Jacob is an actor, dancer, clown and stilt performer. He has studied with Lume Theater in Brazil, Smascherati clown theater in Italy, Yumiko Yoshioka of butoh dance company Ten Pen CHii. Jacob has also trained and performed with the International Theater Collective, Berlin- based Grotest Maru, and the Carpet Bag Brigade stilt theater company. Jacob also directed the Slippery Theater Stilt company in Portland, OR and is the current director of the New Cascadia Clown Army. …articulate the WHY of what you do …find your best customers …stand. out. You will work intensively to sharpen your marketing tools and tactical implementation, all while making great connections within a small class size. Be prepared to have homework every week and really get to know your business in a new way. Email [email protected] if you're interested! Learn to make eye-catching posters using your computer and free layout software (scribus). Layout software is the key to making professional-looking posters and promotional graphics to promote your work (art/music/babysitting/etc). We’ll be using a great free program called Scribus to make basic layouts that look great. Bring your Linux, Windows, or Macintosh laptop computer to the class. A limited number of loaner laptops can be made available, please ask in advance of the class if you will need one. Instructions for installing Scribus will be provided to you ahead of the class and Secret Knowledge will host an installation party from 2pm – 3pm before the start of instruction for those who need assistance installing software. This Secret Knowledge workshop is generously hosted at OpenSourcery – technology for good. This workshop will be lead by Mr.Noah Kleiman of Secret Knowledge. Join Cacophonous Creations for another edition of introductory lessons into the world of soft circuits! Forge Portland is proud to be hosting the next event our Brown Bag Lunch Series featuring Mike Kalkofen. Twice a month we bring in experienced professionals to host a Q&A conversation on specific topics. These lunches are a great chance to meet like-minded people and expand your network and community at our beautiful downtown location. Mike Kalkofen is an entrepreneurial, socially conscious professional specializing in accounting and operations management. The conversation at this lunch will focus on how to harness great accounting to improve operations for your entrepreneurial business. Although much of Mike's career has been in finance and accounting management, he also has extensive experience in operations management, and even owned his own business for a time. Sure, he can create killer Excel spreadsheets with the best of them, but he gets the most enjoyment out of using numbers to improve operations, to provide better customer service, and to help people. Small Business Quickbooks Accounting Workshop: Have a fulfilling business but lost when it comes to accounting? Come learn Quickbooks basics hands on at this 2-day split workshop with Renee Trump of Pasaban Accounting! If you have a laptop, feel free to bring it along and follow the workshop with your own real numbers - this way, you will have made great progress with your business by the end of the workshop. In the event that you don't have a laptop, come join us nonetheless and learn how to get a strong handle on your finances! Register now to ensure you have a spot! Seats are limited to ensure that all participants receive direct attention. IMPORTANT DATE & TIME INFO: The workshop is split between Monday, October 13th and Thursday, October 16th from 6:00pm-8:00pm each day. The Eventbrite interface is not conducive to that format for dates and times, so the event above does say Oct. 13 at 6:00pm - Oct. 16 at 8:00pm. This is not a 3-day event, but rather is a 4 hour workshop divided between two evenings. The registration admits to both days as they are consecutive and not alternative dates. Forge Portland is hosting the workshop and is located in the Tiffany Center at 1410 SW Morrison St., Suite 850. For $99, Renee Trump and Forge Portland are offering you the opportunity to get your small business accounting on the right track with Quickbooks. Mazarine Treyz is "the Wild Woman of Fundraising and Social Media." She will be sharing her success and focusing in on how to get people to click "Buy" on your business website. Please join us for food, soak in all the wonderful advice, and meet a seasoned fundraiser and social media expert. Lunch will be provided by BRIX Tavern! See the presentation preview below. Have you ever wondered how some people make a living online, and others just barely get by? With this workshop, you'll be able to start to make real money online for your business. You'll be able to take your prospects up the ladder of engagement, you'll be able to prove to them that you are trustworthy, and have something useful for them. You'll learn what your prospects want the most, and how to vet a mailing list. You'll also learn how to get more people to sign up for your email newsletter using social media AND on your website, and, finally, the right words to help people open your emails and get on with buying your products! Buying mailing lists: What questions you MUST ask, to save you money and time. Successfully learning from our experiences (both good and bad) is tricky businesses. Evaluating and learning from our own talks, demo’s, and workshops can be a piece of cake, and this workshop will show you how! Learn tools of the trade for assessing any learning experience for depth of learning, audience engagement, and more. You’ll leave with another tool in your toolkit for learning design! Got an idea for a startup, but don’t know where to start? This workshop, hosted by OEN and OTBC, will provide an overview of local resources, along with a checklist of steps to take as you build out your plan. An introduction and exploration of live, reactive templating with RactiveJS. Whether you're a beginner or a veteran of web development, leverage your HTML, JS, and CSS knowledge to easily create dynamic data-driven applications and websites. Ractive is a template-driven UI library, but unlike other tools that generate inert HTML, it transforms your templates into blueprints for apps that are interactive by default. Some tools force you to learn a new vocabulary and structure your app in a particular way. Ractive works for you, not the other way around – and it plays well with other libraries. We'll cover the mustache basics and then dive into the expanded abilities of two-way binding, sections and expressions. Patterns for common use cases like master/detail relationships. Controlling data through template binding and programmatic manipulation. Establishing data flows with observers. Using Ractive can be as simple as adding a script tag in the browser. Mitch Altman, from Noisebridge, will be giving one of his famous workshops at PDX Hackerspace. Mitch has taught thousands of people to solder and make cool things with microcontrollers at his workshops at hackerspaces, conferences and schools almost everywhere. He can teach you, too, if you like. When 7:00 PM, Thursday November 12th. (It is totally OK to come late) Stay as little or as long as you like. Most projects take about 1 to 2 hours. Who It is fun to make things in the friendly community of PDX Hackerspace. Come join us. All skill levels welcome. Minors must be accompanied by an adult. Cost Instruction is Free! If you use any kits, reimbursment for kit price is requested ($10 to $20, depending on kit). There will be plenty of cool kits available to build. About the Instructor Mitch is the brains behind Cornfield Electronics, and one of the co-founders of Noisebridge hackerspace in San Francisco. Mitch is best known as the inventor of TV-B-Gone, but his list of great hacks and cool electronics includes a lot of other great projects. When he is not at Noisebridge building awesome and amazing things, he is on the road from hackerspace to Hacker-Con and back again, sharing his love of electronics. If you're interested in learning more about how to brand your business, I invite you to attend the Hillsboro Chamber's monthly workshop BYB (Building Your Business) on Wednesday, November 18th. We welcome Starbucks and MKTX (pronounced Marketex) marketing firm to offer insights and tips on branding. We also thank our sponsor FundPDX, which is an accredited investor of startup businesses. FundPDX will have an opportunity to discuss its projects and opportunities. BYB is $10 for members and $15 for nonmembers. Lunch is included. To reserve your seat, you can register now by visiting www.hillsborochamberor.com and go to the calendar. Early registration ends Monday, November 16. Management 3.0 started out as a book of the same name written by leadership guru Jurgen Appelo back in 2010. Since then, Management 3.0 has become a global management movement. Our facilitator François Beauregard founded Pyxis in 2000. He acts as a coach, trainer, facilitator and senior consultant for organizations who wish to increase productivity and adopt an Agile approach. As a certified integral coach and certified integral facilitator I am particularly passionate about how human being develop. To Prepare for Class: Please complete the prep work included in your confirmation email and bring your own laptop computer to the workshop. Breakfast, lunch, and dinner provided. Email [email protected] if you have any dietary restrictions. Refund Policy: This course is fully refundable up to 24 hours before the start of the event. Cancellations within 24 hours of the start of the event are non-refundable and non-transferable. To request a refund, please click "Request Refund" on your ticket in Eventbrite or email us at [email protected]. At DevelopmentNow, we like learning how to use and program new technology, and the ability to write skills for Amazon's Alexa assistant is pretty exciting. We're hosting a free workshop and hackathon at our offices, during which we'll learn together to write a new Alexa skill, and demonstrate it, in an hour! Because this will be late October, and because we also like the spooky atmosphere of that time of year, we're going to focus on thinking of skills with a Halloween bent. Given time and interest, we may even be able to put together a decision-tree narration of a haunted house. We're also eager to hear your own ideas and see what all the participants come up with together. Our office doors will open at 10 am, and we'll officially kick off the session at 11. We'll share quickstart documents to everyone in attendance, and have a couple of our in-house developers with Alexa experience roaming the place to help figure things out. At 4 pm, we'll wrap up and take turns showing off what we've built. Parking around the east side of the Burnside Bridge is limited, but generally viable on weekends. We're also very close to the MLK and Burnside stop for the A Loop of the Portland Streetcar, or a block from the nearest bus stop on the 19 or 20. We have indoor bike parking as well. Please bring a laptop and a willingness to learn! You don't need previous experience. We'll provide power, wifi, workspace, food, cooperative instruction, and our Echo for testing. You said there will be food? Yes! We'll provide coffee and pastries when the office doors open at 10, and order Sizzle Pie around 2 pm for our hard-working participants. Is one of your 2017 resolutions to create a plan for your business with clear goals and a tool for tracking your progress? This workshop is for entrepreneurs who have an established and growing business and are ready to take it to the next level. LaunchCode has developed a curriculum providing you with world-class resources to put you on the path to obtaining a job in tech. Informed by LaunchCode’s successful apprenticeship program, we developed this course to teach you the skills that are in high demand within the tech community. To help you succeed in this rigorous course, LC 101 provides a supportive classroom environment with in-person mentoring from instructors, teaching fellows, and local developers. Trying to decide if LC101 is right for you? We've got you covered. Come by our office hours on Tuesday, March 14. Get all the details, ask any questions of our Portland LaunchCode staff, and generally find out how awesome an opportunity this is! “Attorney” may seem like a four-letter word, but every startup faces legal questions, and it’s always best to have the right structure and protections in place from the outset. This workshop will provide you with a general overview of common startup legal issues, and will help you learn how to translate “legalese” into plain language that you can understand. Cost: $60 for OEN members and $125 for non-members. Millennials have a reputation for bashing brands in social media, expecting companies to do the impossible in order to win their business, and lacking the sense of brand loyalty that generations before them held. Are these perceptions true? We’ll bust some myths and look at the realities of this coveted demographic’s consumer behavior. Aug 16, 2017 Skill Share: Advanced SEO Workshop. FREE. Got an idea for a startup, but don’t know where to start? We'll help you get unstuck! This workshop will provide an overview of local resources, along with a checklist of steps to take as you build out your plan. Before investing your life savings, asking friends and family for investment or leaving an existing job, there are things every entrepreneur should know about the road ahead. At The Bridge we work with new entrepreneurs every day. This 4-hour workshop reflects what we have learned about the risks and rewards of entrepreneurship and offers practical guidance on how to start a high impact business. At The Bridge we focus on scalable and high impact businesses as opposed to “Main Street” small businesses. There is often, but not always, a strong element of technological innovation in these businesses. This might involve software development, engineering or even food science. Scalable businesses generally have more significant investment requirements and nationally, if not globally directed strategies. This workshop is put on in cooperation with WorkSource and The Bridge. There is a fee of $495 per attendee, but based on eligibility Worksource is offering full scholarships to qualified individuals. Please contact Doreen Englemann at WorkSource WA for details at [email protected] or 360-735-4960. Registration for this workshop includes one pass to our March 14 PitchFest and three free months of LivePlan business plan software (combined value of $85). Following the workshop, participants will have an opportunity to complete a one-page overview of their business using LivePlan and submit it for the opportunity to compete in PitchFest. Got a great idea, but don't know where to start? Our Startup 411 workshop will provide you with: a checklist of where to get started, a review of common mistakes entrepreneurs make, an overview of startup funding options, and answers to common questions, including protecting your idea, finding co-founders, and more! Podcasting is one of the most accessible ways to build a brand and get your voice out to public. In this introductory course, Hatch Innovation's Channelsmith, Collin Gabriel, will help you understand the gear, software, and service options you will need to get your podcast off the ground. From low cost/no cost options to premium services, this will be a fast paced review of what it takes to establish your RSS stream on the channels available, obtain high quality sound, and the best options to conduct interviews remotely. Soon you will be entertaining earballs everywhere and adding to the diversity of voices that make podcasts such an awesome tool for learning. Bring: You should bring a laptop and a willingness to learn! You do not need to know anything about programming. Have you ever wondered how all the wiz-bang marketing professionals are able to increase website traffic and conversion rates for their clients? Yeah, we did too. So, we asked the very talented Jake Wagner, CDMP to host a workshop on one of the comprehensive email marketing solutions available today, Active Campaign. In this workshop, Jake will introduce newsletter campaigns, contact managment, automation set up, and the reporting and analytics that are included in this online tool. If you haven’t heard of ActiveCampaign, it’s like MailChimp on steroids. It is a great tool at an affordable price, making it the best fit for many entrepreneurs. Bring your laptop and desire for better communication to the first of these one hour workshops!